This book shows virtues about Islam: total honesty, common sense, a rigorous level of theological investigation, and a thrilling oscillation between gifted storytelling and exposition of doctrine. The author demonstrates that (if only as a mathematician) he can only believe in a religion that finds compelling – rationally, intellectually and spiritually – and that religion is Islam: a thinking man’s faith. The author wrote this book first and foremost for his children – leading them to the five pillars of Islamic worship in a manner which stresses spirituality rather than legalistic routine. In this extraordinary and beautifully-written autobiography of Muslim scholar, intellectual, political theorist and diplomat Muhammad Asad. A timeless spiritual classic, this gripping and insightful autobiography of an Austrian journalist, who fully immersed himself in the life and faith of the Islamic world, permanently reorients the reader’s view of the world. 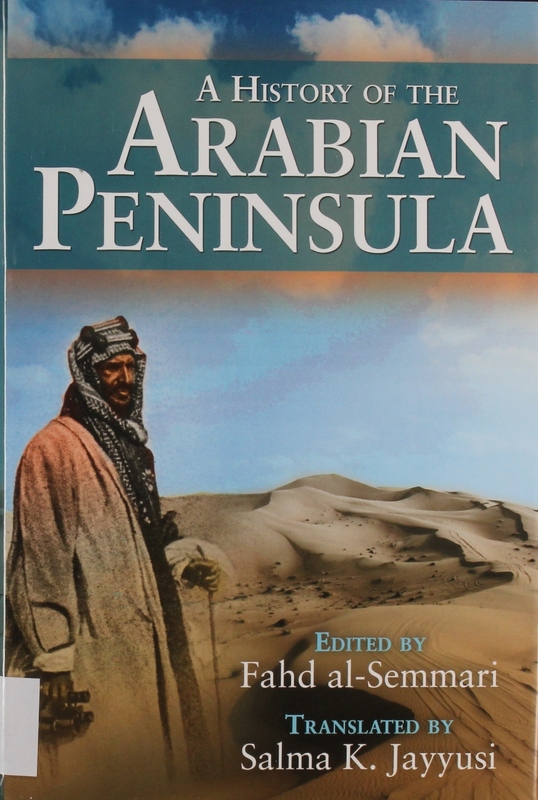 The book explores the original Bedouin settlement of the region, the development of the major urban areas of Arabia during the Umayyad period, the socio-political and economic developments in the Hijaz and Najd up to the eighteenth century into the modern era and the rise and development of the Saudi state. This book makes a major contribution to our understanding of the history of the Arabian Peninusla, not least because it provides a perspective from and a flavor of its local origins. 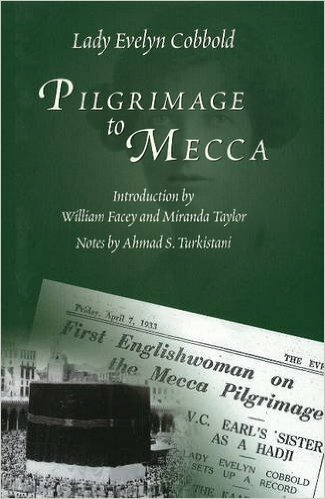 As the first British woman convert to Islam on record as making the pilgrimage to Mecca and visiting Medina, Lady Evelyn Cobbold (1867- 1963) cuts a unique figure in the annals of the Muslim Hajj. Pilgrimage to Mecca is as much an account of an interior journey of faith as a conventional travelogue. It takes the form of a day-by-day journal interspersed with digressions on the history and merits of Islam. It also gives a first-hand description of the life of the women’s quarters of the households in Medina, Mecca and Mina – an account remarkable for its sympathy and vividness. This book provides the first academically rigorous description and critical analysis of the Higher Education system in the Kingdom of Saudi Arabia, and of the vision, strategies and policy imperatives for the future development of Saudi universities. The book addresses the way in which Saudi Arabia is moving to develop a quality university system that balances the need for students to gain the knowledge, skills and ‘ways of doing’ necessary to operate effectively on the world stage while simultaneously maintaining and demonstrating the fundamental values of the Islamic religion and culture. The book also provides a description and critical analysis of the key components of the Saudi Higher Education system, and of system-level responses to the challenges and opportunities facing Saudi universities. It is written by a team of Saudi academics and authors of international standing from non-Saudi universities so as to provide both internal and external perspectives on all issues and to place information and ideas in the context of the international Higher Education scene. This book is a witness of the past years of scholarships and an emitter of good omen for the promising years to come, reading its story through the experience of others while considering its uniqueness and calls for sublimity and empowerment of our auspicious country. The book is written in nine chapters talking about the importance of investment in education through scholarships and its global implications and the experiences of successful countries in this regard, then talking about the Saudi experience in its old history to its present leap, the book was concluded by moving from the singular to the plural and from the flower to the orchard in talking about the development of higher education in general the present activities at the level of building universities and increasing their enrolments and its active participation in the society and the talk about its faculties and the activities of its laboratories and scientific centres. In the past generation Saudi Arabia has become a major source of influence as the world’s largest exporter of petroleum and oil products, and as one of the richest countries in the world in its reserves of wealth. Meanwhile it fulfils its ancient role as the fountainhead of Islam. It is to Makkah that millions of Muslims turn to pray, and to Makkah they come, if they can, at least once in a lifetime, as pilgrims in obedience to their faith. In these two functions Saudi Arabia conducts itself with widely admired earnestness. The responsibilities of world affairs and material progress have indeed become great since Saudi Arabia rose out of poverty to riches during the second half of our century. Yet these are never greater than the spiritual responsibilities as the provenance of Islam and guardian of the Holy Places of revelation to the Prophet Mohammad. The Kingdom of Saudi Arabia is long established as the work providing detailed information to all those in need of authoritative knowledge of country. This new fully revised edition brings together a readable text, updated facts and figures, and many fine photographs hitherto unpublished, as a foundation on which to build a lasting acquaintance with one of the most remarkable countries in the modern world. 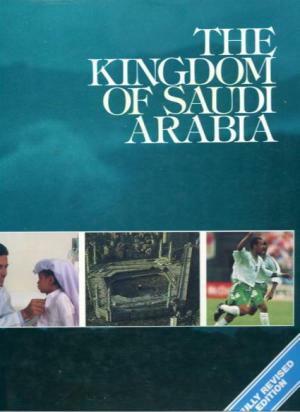 This book provides a detailed study of the history of the Kingdom and an account of all the major aspects of development in the Kingdom of Saudi Arabia up to 2000. 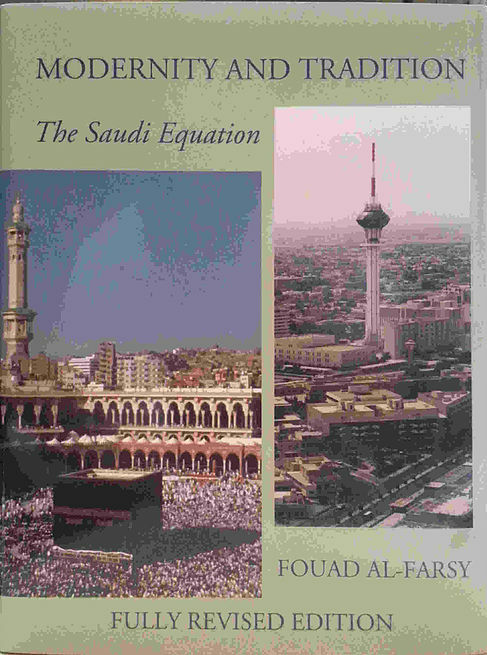 In this book, Dr Fouad Al Farsy analyses the political and judicial system, the oil industry, the economy, planning, industrial and agricultural development, population and manpower resources, infrastructure, social development, education, health, foreign policy and aid to the developing world. The author offers an assessment of progress in the Kingdom of Saudi Arabia, providing an overview of the most ambitious development program in history, setting the Kingdom in a global political and economic context. He shows how rapid progress was achieved in the only country on earth which uses the Koran as its constitution without diminishing its distinctive Islamic identity.